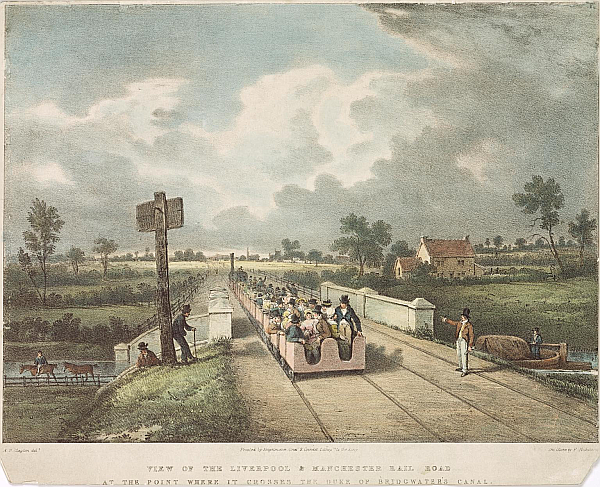 Alfred Bower Clayton's 1831 picture of a train crossing the Bridgewater Canal is a familiar representation of the Liverpool & Manchester Railway (L&MR) which opened the year before. For once the publisher is not Rudolf Ackermann but Engelmann, Graf, Coindet & Co. of London who were active 1826-33. The picture appeared in a small booklet alongside views of the Moorish Arch and Olive Mount cutting. A cropped version of the image appears multiple times on Wikipedia but the image is reversed horizontally and incorrectly entitled "Inaugural journey of the Liverpool and Manchester Railway". The same image is one of the most popular representations of the L&MR on Twitter. And still wrong. A.B. Clayton was born in London in 1795/6 (sources vary) and trained initially as an artist at the Royal Academy Schools under distinguished painters such as Etty and Fuseli. Subsequently he became an articled architect under Joseph Woods and practised at Doctors' Commons. Known works include the 1824 St Mark's Church, Kennington, under David (D.R.) Roper and the 1827 modifications to London Corn Exchange under George Smith. He is credited with the Grade II-listed Herne Bay Parish Church which dates to 1834-5. He moved to Manchester in 1837 and collaborated with Thomas Witlam Atkinson, an arrangement that lasted only until 1838. During this period he moved to Liverpool and was architect for St Silas' Church in Pembroke Place which opened in 1841 (demolished after bomb damage in 1941) at which time he was located in Cable Street, Liverpool. He also acted as bridgemaster for the Hundred of West Derby (judging from his map in Liverpool archives, this did not include railway bridges). Clayton became an associate of the Liverpool Academy in 1852 and exhibited on occasion at its annual exhibition between 1837-52 as well as at the Royal Academy between 1830-1837. His subjects were mainly historical, architectural and theatrical (scenes from Shakespeare). Few of his works are readily accessible. There is a copy by Charlotte Bronte of his decidedly melancholy "The Atheist viewing the dead body of his Wife" in the collection of the Bronte Parsonage at Haworth. There are also two costume prints in the Royal Collection based on his work. He lived in Aughton, near Ormskirk, where his son Robert was born to his wife Elizabeth in 1839 (baptism record). Later he moved to Everton village where he died in 1855. 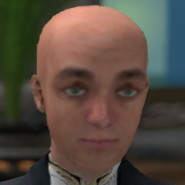 His son Alfred G.S. Clayton also became an architect and designed the Tudor Gothic railway station at Glaslough. At one level the picture presents an interesting juxtaposition of the new 1830 railway and the 1761 Bridgewater Canal, the first in the UK constructed without reference to an existing navigation. While the two modes of transport were frequently seen as rivals, in practice both had their place. There was, however, significant competition which was resolved in some cases by merger as with the St Helens Canal and Railway Company formed by the proprietors of the St Helens & Runcorn Gap Railway and the Sankey Canal. Looking at the picture, the gent in the last wagon is rising from his seat as the train slows on approach to the level-crossing on Green Lane some 80 m further on. Maps show that the house on the right is on the far side of that lane. The policeman to the right signals that the way is clear but the guard will know that a passenger wishes to get off and waves to the stoker who is looking back intently. There is also a man on the tracks, possibly the gatekeeper indicating that a passenger is waiting to board and hence that the train should stop. Many of the early stations evolved from level-crossings where staff could signal trains to halt. Often the facilities were rudimentary or, as appears here, virtually non-existent. Nevertheless Patricroft appeared in the first list of stopping-places published in 1831 and there was, as we shall see, slightly more to it than Clayton shows us. There is insufficient resolution to be absolutely sure but it looks as though the gates across the road are actually open, at least to the right. In fact, examination of prints of Patricroft (shown later) and other intermediate L&MR stations shows that gates were often left open. Many stopping-places may have lacked trackside waiting space so the gates presumably had to be open to enable access to the train for prospective passengers waiting in the road. The situation at night seems to have been different. Initially the gates were built to close the permanent way so trains often had to stop before and after gates to open and then close them again. Later, however, the gates were fastened across the road and road travellers were provided with a bell to summon the gatekeeper or, where available, the nightwatchman to open them. This is a second class train (and hence halts at intemediate stopping-places) apparently drawn by one of the early Rocket-derived locomotives based on its chimney shape and use of a water cask. The open ("outside") carriages each comprises four passenger compartments with entrances off a transverse passage midway along. Passengers sit on two benches in each compartment facing one another and at right-angles to the direction of travel. Based on a notional four passengers per compartment, a train of five carriages could accommodate 80 passengers. The same design of carriage is seen in one of Isaac Shaw's train prints although it does not seem to have been adopted more widely. While Clayton's picture is contemporaneous, Shaw's print suggests that it under-represents the diameter of the wheels and size of the carriage panels. Perhaps the aim was to show the carriages as readily accessible although, of course, use of horse-drawn transport also required a degree of agility. Whether there were entrances at the ends of each compartment is also moot. They would have helped the guard when moving between carriages but only at significant risk to passengers in the event of a sudden stop. Absent from the end carriage is any buffing apparatus (leather mufflers were reported in use by 1831) or connecting chains (which would not be replaced with Booth's screw couplings until 1837). However, there is an even more significant omission, the tavern at the level crossing. A complementary picture in the Padorama booklet by the elusive H. West (possibly a pseudonym of Charles Marshall) gives the view looking north towards Worsley Brick Hall. As with a number of West's sketches, it is purposely condensed with the crossing shown adjacent to the canal bridge. It does, however, suggest that ultimately there was a gate onto the railway under the signpost on the left where we saw the two men waiting to cross the bridge. This may have been intended to stop pedestrians absentmindedly walking into the path of a train, especially at night. What the picture shows very well, however, is the presence of a tavern at the level crossing. Notably absent from Clayton's picture is any semblance of a shelter for staff or passengers. Patricroft got its first railway building, a wooden hut, in 1832. It was removed in the early 1840s when a more extensive station was built. 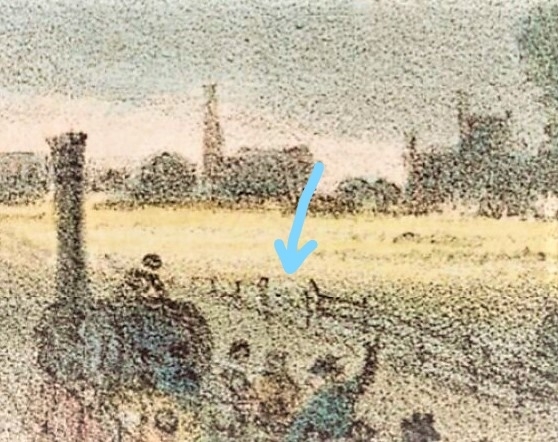 It is missing from West's 1833 print of the north side of the track so it seems likely that it is on the opposite side, probably on the east side of Green Lane where the station eventually developed. As West shows, however, shelter was available in the form of the Patricroft Tavern which is strangely missing from Clayton's picture. The Tavern apparently dates back to 1828 and presumably served those building the line as well as subsequent thirsty travellers when the line finally opened to the public in September 1830. The tavern lays claim to being the earliest railway pub. The minutes of the L&MR Board of Directors show that Dixon, the resident engineer responsible for this part of the line, recommended establishment of a yard, office and workshops at Patricroft Bridge (BoD 19 Feb 1827). Land for the tavern was leased from George John Legh by the first owner, John Lord, a rather large man remembered in newspapers of the time for having his kidney stones removed by a novel procedure called lithotrity. The tavern we see in West's picture is somewhat smaller than the present building and lacks the attractive wooden gable end and corner quoins. The bay window, however, is still there on the present pub, now called the Queens Arms, and may be one of the earliest uses of this feature on the L&MR. Many have supposed that it would allow a view of the track (and approaching trains) in both directions. In an era when only departure times at Liverpool and Manchester were specified, this could be useful in inclement weather. Some gatekeeper cottages had a similar configuration as seen at Collins Green. 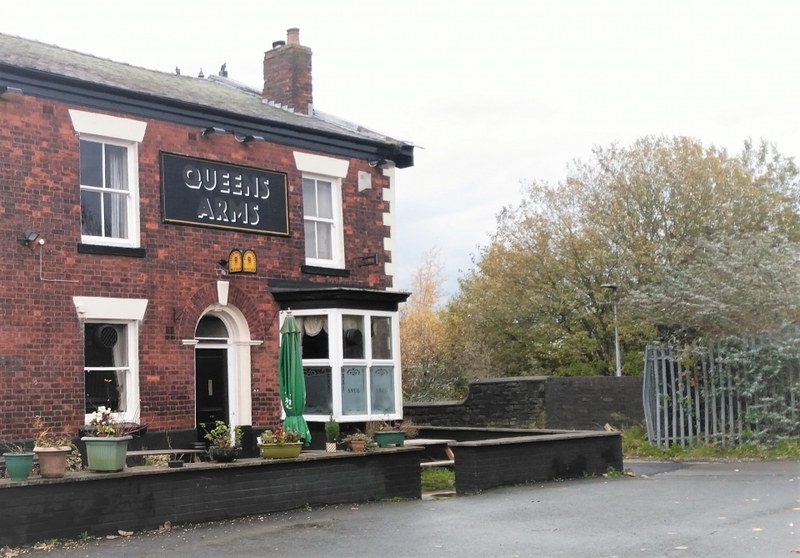 The absence of the pub may reflect support for temperance either from the artist or the directors who, it is thought, may have exercised some control over depiction of the railway. The Stockton & Darlington Railway reflected practice with stagecoaches in using nearby inns for booking seats and as waiting-rooms. The directors of the L&MR seem to have favoured purpose-built stations, possibly for religious reasons or to encourage sobriety among staff and passengers. However, travellers record being served in their carriages by staff from the pub during stops at the station. In another case, Bury Lane, the directors asked to use a room without access to the bar but were rebuffed by the landlord. Patricroft station grew considerably during the heyday of steam with major engine sheds east of the station itself, sadly now gone although the long platforms are a reminder of such times. The area behind the Tavern was chosen by engineer James Nasmyth as the location for what became the Bridgewater Foundry. This produced machine tools as well as finished products, including locomotives. It is remembered in particular for foundational work on the steam hammer as well as innovative business practices such as using a production line and maintaining a product inventory rather than producing custom items to order. The site was serviced by a siding that entered via Green Lane but had also, of course, the option of using the canal. Later the site became an ordnance factory and it is now a housing estate. Nasmyth's father, Alexander Nasmyth, is often regarded as the father of Scottish landscape painting and shortly before his death he produced an elevated perspective of the Foundry, canal and railway. James was also a keen artist and later published a similar view. Fig: Pre-foundry view of gates open on Green Lane with Patricroft Tavern on crossing. There were probably further buildings further along the lane.